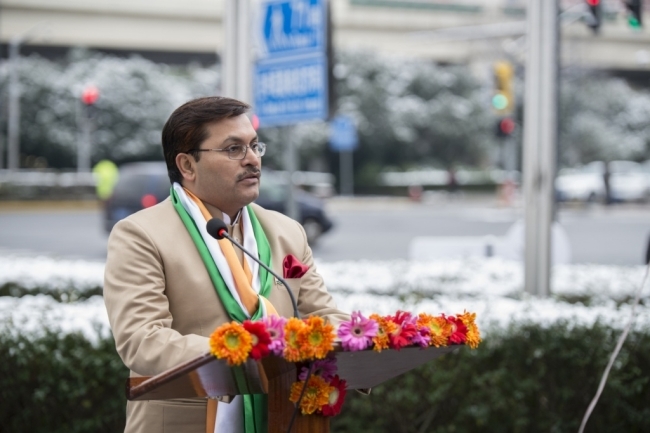 The 69th Republic Day was celebrated at the Consulate General of India, Shanghai on January 26, 2018. 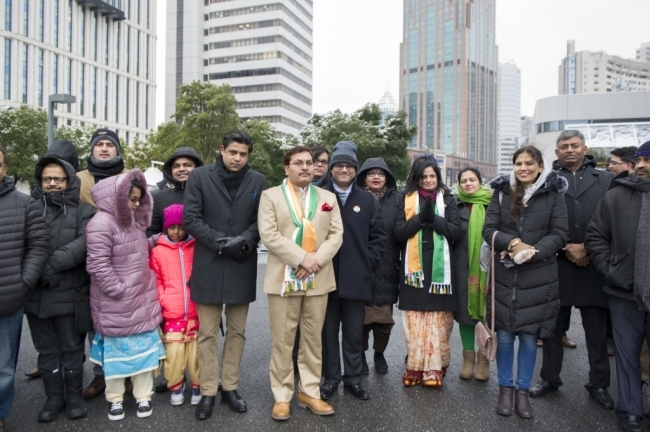 Flag hoisting ceremony was held at the Consulate premises with enthusiastic participation from the Indian community members despite the freezing temperatures. 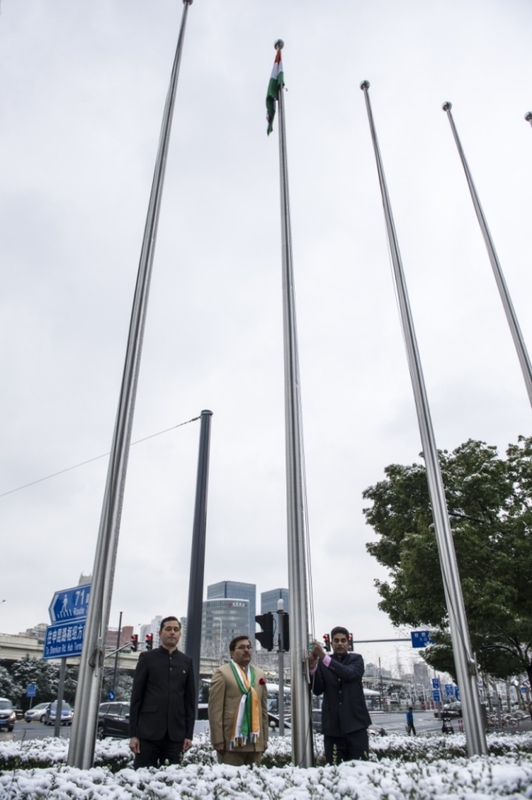 Consul General unfurled the national flag and read out excerpts from Hon’ble President’s address to the nation. 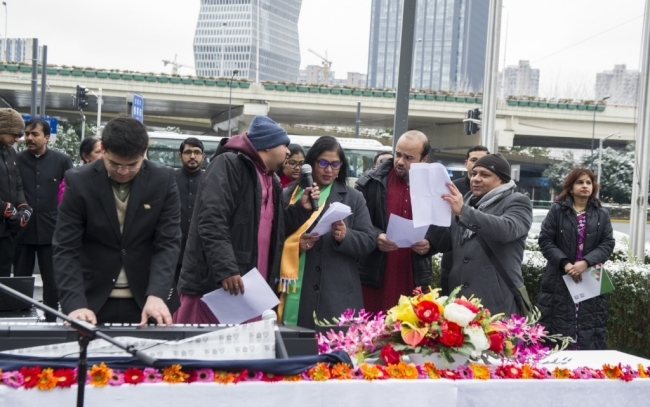 A select group of Indian community members rendered patriotic songs on the occasion. 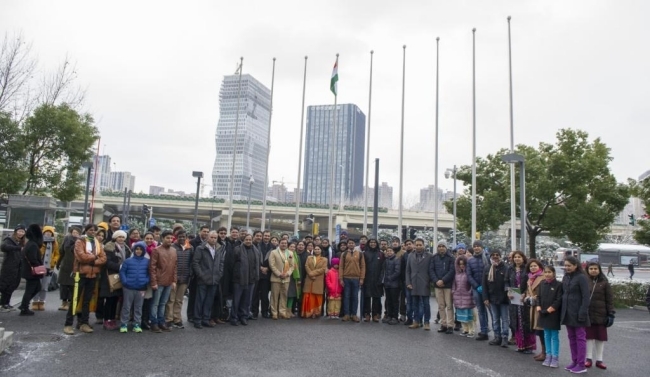 An informal gathering over light refreshments at Consulate’s Culture & Exhibition hall followed the event.